If you are in the market for a compact sport utility vehicle, the 2018 Nissan Rogue is an excellent option filled with plenty of amazing technology and impressive handling. Visiting our Nissan dealership near New Haven will give you the ability to check out our current inventory and take a Nissan Rogue out for a test drive to see if it matches up to your driving personality and needs. Under the hood, the Nissan Rogue houses an inline four-cylinder 2.5-liter engine that delivers 170 horsepower and 175 lb-ft of torque. While front-wheel drive comes standard, you can opt for an available all-wheel drive for enhanced handling in less-than-ideal conditions. The Xtronic CVT® with a Sport Mode shifter comes standard in the 2018 Nissan Rogue for sale, as does hill start assist, Eco/Sport mode, brake assist, and intelligent trace control. Our professional Nissan dealers in CT will be able to talk with you about this powertrain as well as the hybrid option that is available when you come in to check out our selection. Each Nissan Rogue comes with a great deal of standard safety equipment to provide utter peace of mind. Systems include blind spot warning, rear cross traffic alert, and automatic emergency braking. There are also options for lane departure warning and rear cross traffic alert. For special features, you will find a seven-inch infotainment touchscreen system, Bluetooth® technology, smartphone integration, and options for a nine-speaker Bose audio system and Nissan door to door navigation with premium traffic. 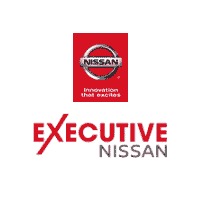 We invite you to stop by to view our current new Nissan inventory available at Executive Nissan. Our full-service Nissan dealership is located at 900 Universal Drive ive in North Haven, CT. If you are curious about your buying abilities and getting the right loan, we can have you talk with our Nissan finance team. You may call our new and used car dealers in CT at 888-994-0339 to go over our current dealership incentives or to set up a time for a test drive.